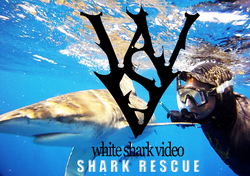 Divers rescue a dusky shark from a deeply embedded rope. The shark reportedly cooperated with the divers and even showed appreciation after the rope was removed. A month after the rescue the shark has healed remarkably and seems to have befriended the divers.